How do I activate Plantronics Integration on the Office@Hand Desktop App? 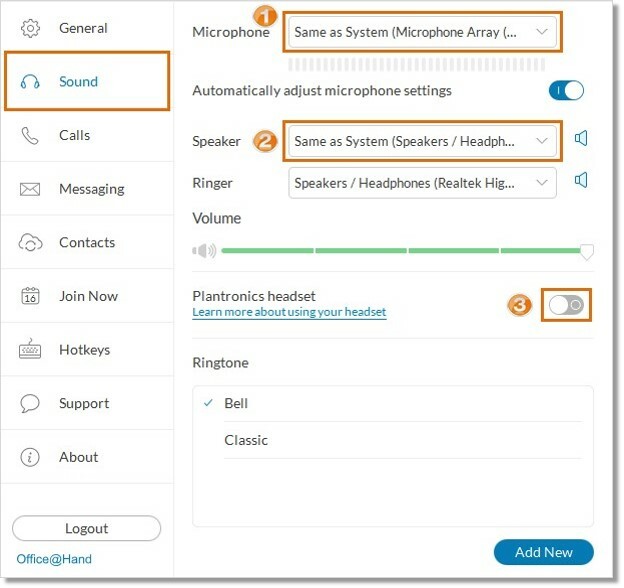 The AT&T Office@Hand Desktop app integration with select Plantronics headsets allows you to start, mute and end calls directly from your headset, with no need to enter a command from the Desktop app. Note: Call control works with the headset connected to a USB or a Bluetooth dongle. 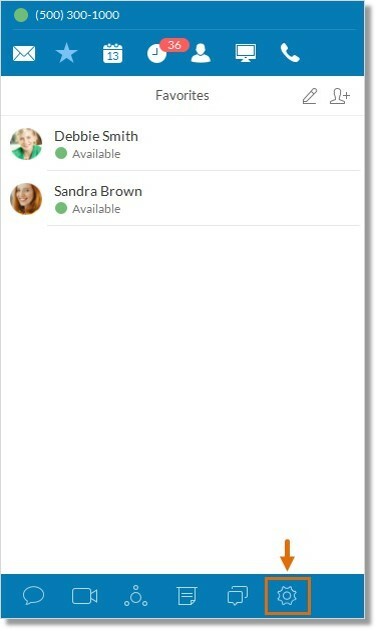 Optimizes User Experience with Office@Hand Desktop App. Native integration with Office@Hand Desktop App – works out of the box. More natural and fluid interaction with the Desktop App. Select headsets include Plantronics Smart Sensor Technology, which allows Office@Hand Desktop App users to take an incoming call simply by putting on the headset or end a call by removing it. Call controls from selected Plantronics headsets – mute, hold, pickup, hang up, next call. One Touch answer and termination of calls directly via headset. The Plantronics HUB should be installed to continue using the call control functionality/hardware keys on the headset. Click here to download the Plantronics HUB. (Open the image in new tab to view a larger version). 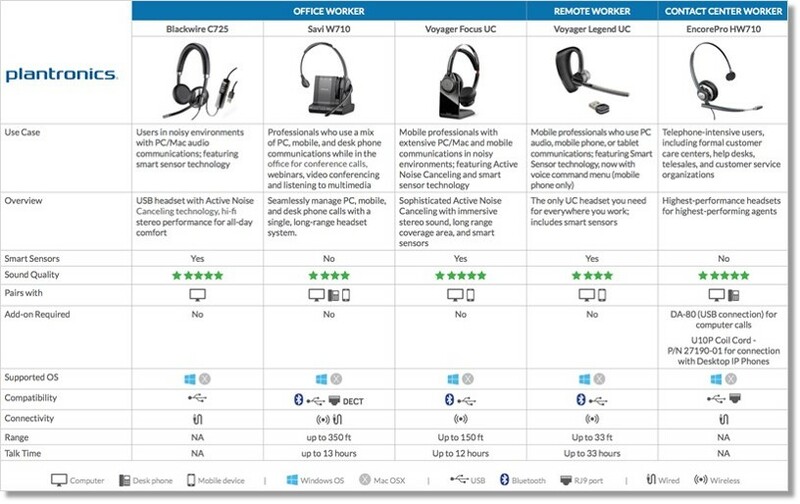 Can I buy Plantronics headsets from AT&T Office@Hand? No. You can buy the recommended models through your preferred resellers. Will AT&T Office@Hand for desktop work with a Plantronics Bluetooth headset? Yes, it works through headset’s Bluetooth USB connected to a computer. The AT&T Office@Hand Desktop app automatically detects your Plantronics headset when you connect your headset via your computer’s USB port. Click Yes to activate. Manually activate your Plantronics headset by following the steps below. Log in to the Office@Hand Desktop app. Connect your Plantronics headset to your computer’s USB port or use a Bluetooth dongle. 1. Set the Microphone to your Plantronics Corded Headset or Mini-USB adapter. 2. Set the Speaker to your Plantronics Corded Headset or Mini-USB adapter. 3. Enable Plantronics headset by clicking the slider button . Note: You may click the Learn more about using your headset link for more information regarding Plantronics headsets and their compatibility with the Office@Hand Desktop App. You may start using your Plantronics headset hardware keys for call management if the attempt was successful. 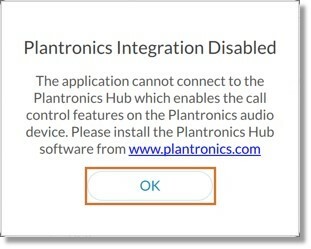 If the attempt fails, you will see a Plantronics Integration Disabled error message. Go to the Plantronics Integration Disabled section for more information. If integration was enabled previously but the application cannot communicate with HUB any longer. If a user tries to enable integration and we cannot connect to HUB. If a user uninstalls HUB while integration is enabled. Note: See Office@Hand: Plantronics Hub for Windows and Mac System Requirements for more information.